Happiness. Joy. Fulfillment. These abstract words are often misinterpreted. Either in how it is felt or how it is obtained. Tony Robbins puts it into a simple equation. 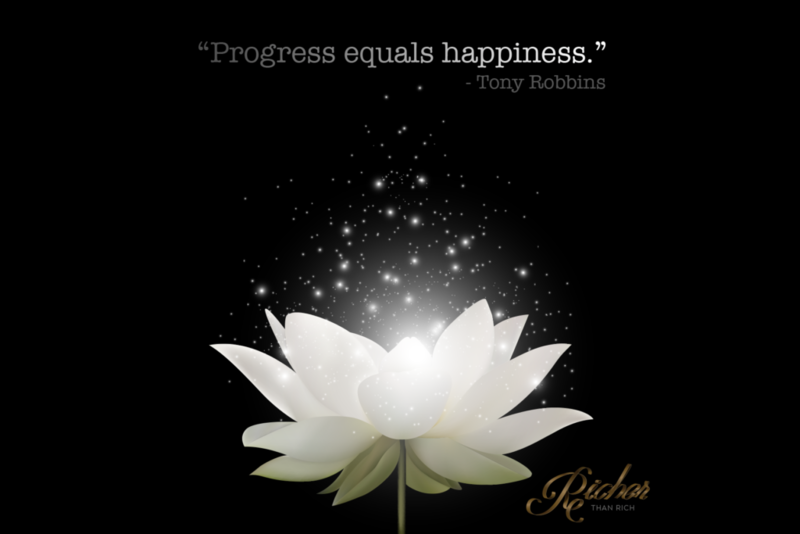 Progress = Happiness. Wealth does not bring happiness. A gold medal or a raise or any other goal you may have does not bring happiness. No matter how amazing the goal is or how luxurious a possession is whether it be the mansion or the Ferrari or the yacht or the private island. Working towards and achieving the goal is what brings happiness. Progress is the essence of life. A tree will always grow as long as it is alive. Continue to grow and progress and you will continue to bring joy and fulfillment to your life.